Spicy Indian beef curry / Beef salna is a Quick and flavorful curried dish with beef which is served with parotta, naan, rotti, dosa and so on. 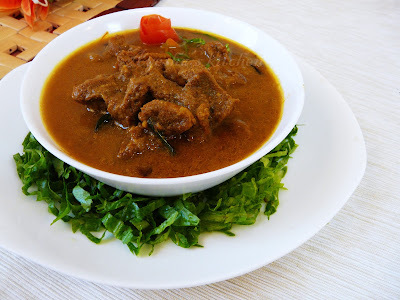 This heavily spiced and aromatic Indian beef curry is now common in most of the popular restaurants around the world. Spicy beef curry or beef salna served with rice always makes me a nostalgic feel and is really a drooling worth combination. Salna is a curried dish made using vegetables or meat, but mostly made with chicken and beef. Chicken salna or beef salna is a very popular side dish served along with parotta, chappathi or dosa. Parotta with beef or chicken salna is the most famous dish available in the street side shops ( thattukada ) in kerala , tamil nadu . 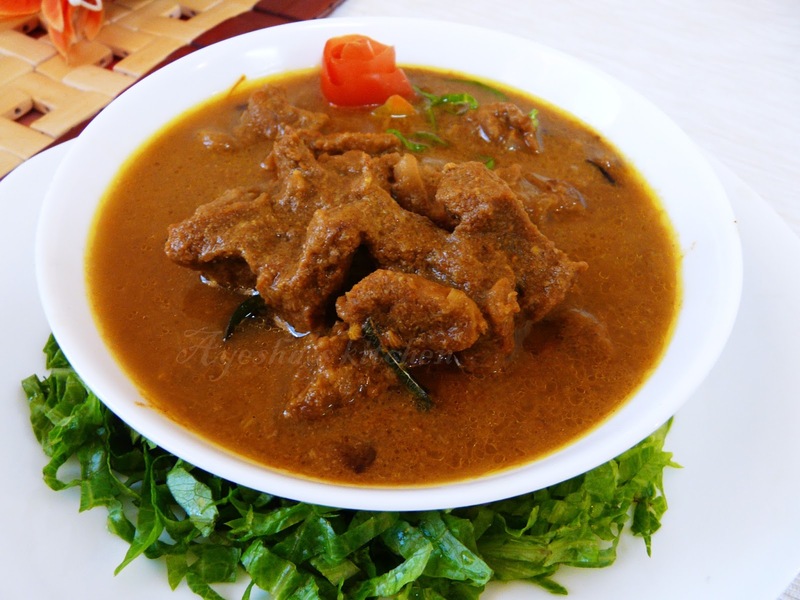 Add the cubed beef along with all the above ingredients except oil and curry leaves in a pressure cooker. Add half a cup of water. Do not add more water as the beef itself will release water when heated. No need of slicing shallots also. Pressure cook it for 4 whistles. When done, off the flame and let it stay for few minutes and then open the lid. Again switch on the flame and cook for another few minutes or until the gravy becomes thick. When done heat oil in a separate pan and fry sliced shallots, curry leaves and pour it over the curry. Serve hot with rice, chappathi, poratta..